Our Cut-n-Break method is the natural choice when you need to cut deep at low maintenance costs. 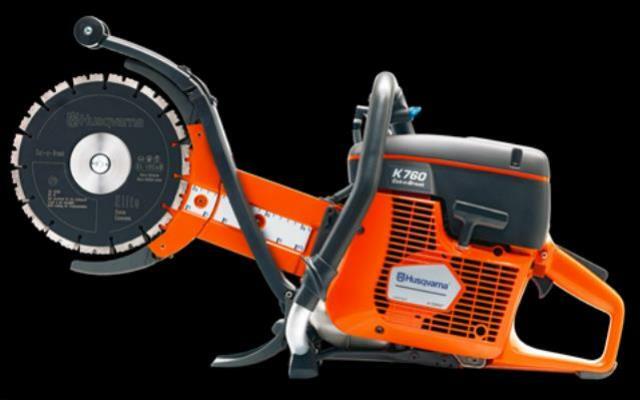 The K 760 Cut-n-Break enables you to cut as deep as 400 mm (16") from one side. The two high-speed blades make a core in the saw cut, which can then easily be broken off using the accompanying breaking tool. This way you easily work your way through the material, at a very low diamond tool and maintenance cost. Delivered with twin blades and a breaking tool. * Please call us with any questions about our masonary cut and break rentals serving Princeton, Vincennes, Evansville, Gibson County, and surrounding communities in Southwestern Indiana.